Four people have been taken to hospital after being stabbed in south London. Scotland Yard said five males have been arrested after police were called to Landor House, Camberwell, shortly before 5.25pm on Thursday. Officers found four males with stab injuries. They were all taken to south London hospitals by the London Ambulance Service. Harriet Harman, MP for Camberwell and Peckham, said she was very concerned by the quadruple stabbing and is in contact with police and councillors. Bloodied clothing and shoes littered the scene, as did surgical gloves and first aid bags behind the cordon at the low-rise housing estate. Passer-by Chris Hardley reported seeing a “huge number” of police in the area, including armed officers. 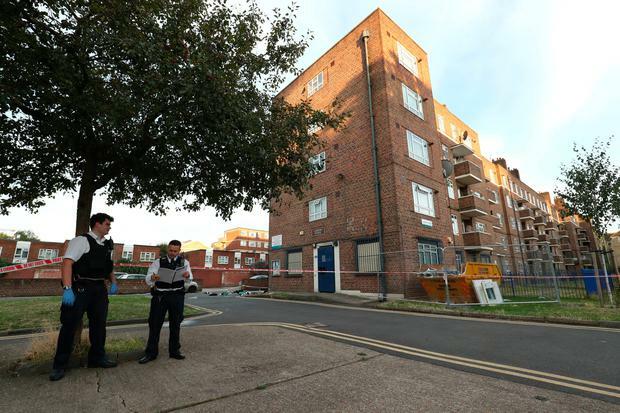 The latest crime scene is just a short walk from Warham Street, where 23-year-old drill rapper Sidique Kamara, also known as Incognito, was stabbed to death on August 1. The Metropolitan Police said the force was awaiting an update on the conditions of the males, while a crime scene remains in place. A London Ambulance Service spokesperson said: “We sent a number of resources to the scene including ambulance crews, a single responder in a car and an incident response officer.